This week is to be dubbed sushi week. I realise it is Wednesday but that’s when my week can really start. Mondays are manic, Tuesday I am recovering from monday and the weekends I am preparing for Monday all over again. See, it makes sense. As another of my New Year goals, I’m hoping to lose 40lbs. So far this year, and last, my work lunches have consisted of whatever the not so impressive local shop has to offer- pasties, sandwiches, ready meals. Not the most nutritional fare. Today we start with the basics. Sticky rice. 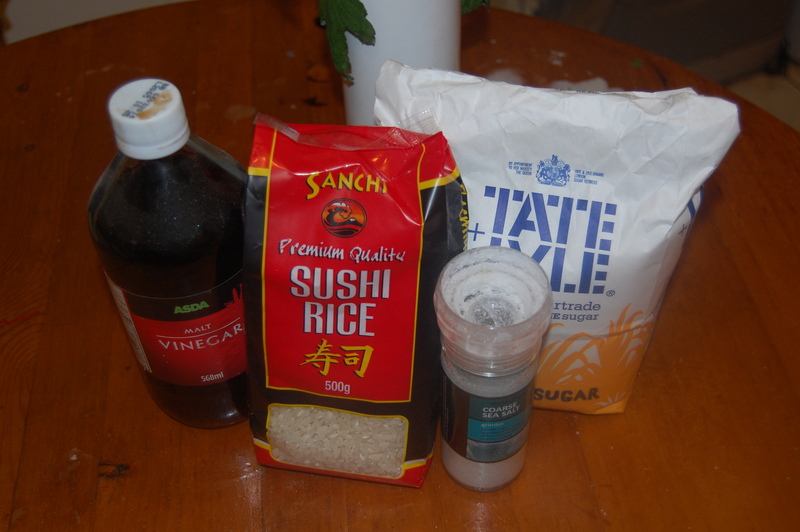 I have attempted sushi before and it was a disaster – suffice to say my rice was not sticky. Time to try again. I’m hoping that this recipe will work equally well for some awesome sounding Korean dishes too. I have seen a few recipes for sticky rice that call for normal short grain white rice. I will try them in the future as ‘official’ sushi rice is beyond expensive but I wanted to make sure all the ingredients this time were authentic to increase my chances of successfully making edible sushi. 1. 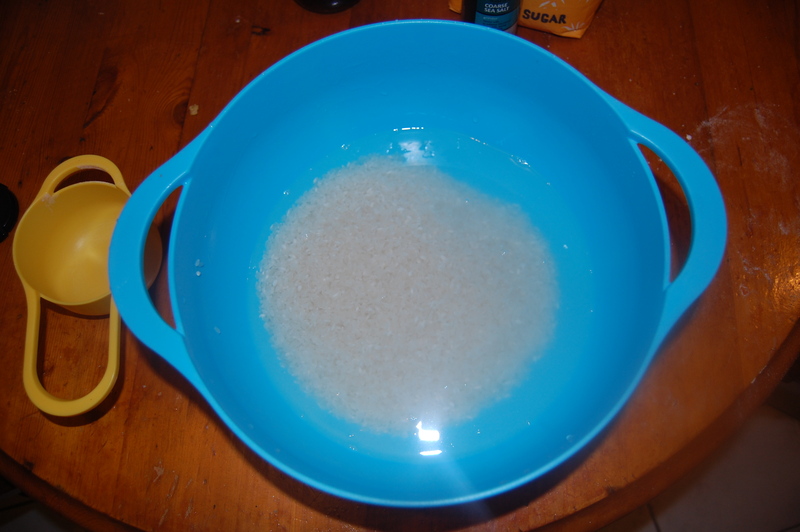 Measure out the rice into a large bowl and cover with water. Gently mix rice around. The water should go cloudy with excess starch. Drain and repeat until water is clear. 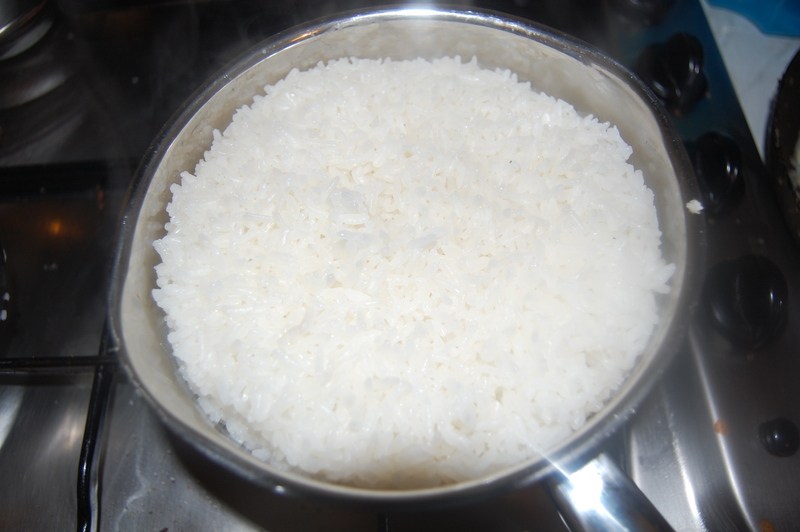 Leave rice to allow water to be absorbed for 30 minutes. 2. 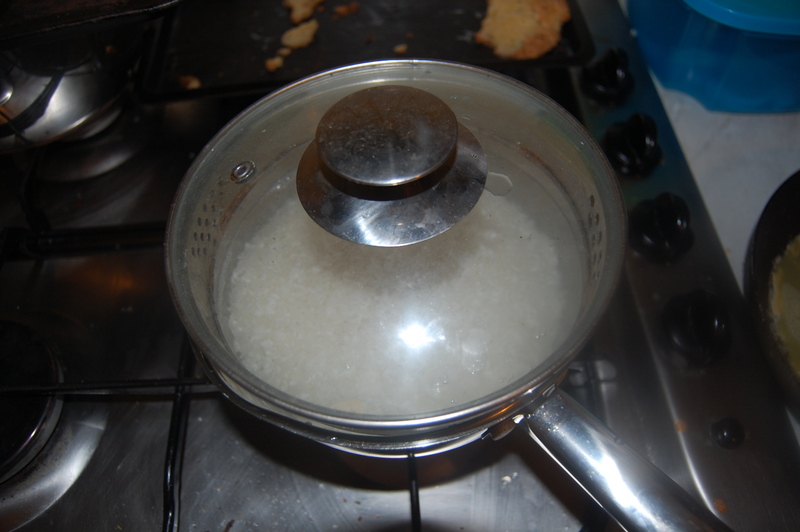 Into a pan place the rice and the measured amount of water. Cover with a lid and leave on a medium heat to come to a slow boil. 3. Once boiling turn to a high heat for 1 minute. Do not remove lid. 4. Turn down to a low heat and leave to fully soak up remaining water for 10 minutes. 5. Take pan off heat and leave for a further 10 minutes. The recipe doesn’t actually tell you what you are meant to do with the sugar, vinegar and salt but having googled it, it seems you heat it all together in a new pan and ‘spritz’ over the cooked rice before using. A second recipe says to gently fork the seasoning through the rice. Final result, sticky rice. It worked, I’m so excited. On to making maki rolls.